Located in the prestigious and private, 720-acre gated community of CORTE BELLA, adjacent to Sun City West. Del Webb's first active adult Country Club and the first club of its kind in the Phoenix area. This newer upscale home is located on a large private cul-de-sac lot, and is WALKING DISTANCE to the fitness center/pool. Our home is elegantly furnished and fully equipped throughout, ALL THE COMFORTS OF HOME, AND THEN SOME! PLEASE NOTE: Corte Bella is an AGE RESTRICTED COMMUNITY. At least one rental occupant must be 55 years of age or older, the community also requires a one month minimum stay. Many upgrades found throughout. The extended patio is fully-covered and equipped with a natural gas barbecue, patio table & swivel rocker chairs, two over sized Hampton Bay loungers and ceiling fans. You will be very happy with the PRIVACY of our large backyard/patio area, which makes it perfect for entertaining or just relaxing and enjoying the sunset! The large great room is furnished with 2 comfy LAZY BOY RECLINERS, matching sofa and love seat, coffee and end tables, set of 3 beautiful nesting tables, three-piece entertainment center, TV and ceiling fan. The den is adjacent to the great room and is equipped with a queen sofa bed, comfy chair, ceiling fan a beautiful desk & chair (perfect for your laptop), and a high speed internet modem. The kitchen is over equipped and furnished with beautiful Lenox dishes for casual dining. The home has everything you need for entertaining guests, Including Mikasa fine china and Patio dishes, crystal wine, water, and champagne flutes, cloth napkins/ place mats. Maple kitchen cabinets with under cabinet lighting, pull-out shelves and Corian counter tops and 3 beautiful kitchen counter breakfast stools. The luxurious and spacious master suite has a bay window with 2 comfy chairs that overlook the large private backyard, a huge walk-in closet and a master bath with dual sinks/vanities and a large enclosed shower with built-in seat. The master bedroom is furnished with a VERY COMFORTABLE Spring Air MATTRESS, King-size sleigh bed, nine-drawer dresser, two night stands, new TV, telephone, alarm clock and a ceiling fan. The guest bedroom is furnished with two twin beds, night stand, six-drawer highboy dresser, TV, alarm clock and a ceiling fan. All amenities, more than you would ever need for your stay! The home is equipped with more games than you'll most likely have time to play! Plenty of DVD movies for your viewing pleasure! Enjoyed our month of April very much. The house had everything we needed and was very clean. This is an awesome vacation spot with a beautiful golf course and gorgeous pool. It has many other amenities. Hope makes you feel very welcome and I've never dealt with a more pleasant and accommodating person. We have no hesitation in recommending this spot. We stayed the entire the month of March (2016) and couldn’t have asked for more. 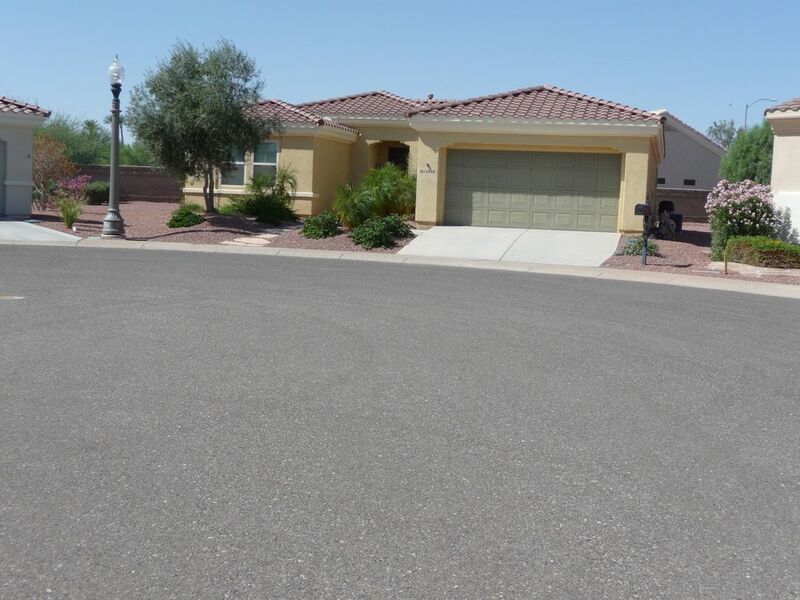 We found this beautifully maintained home in its gated neighborhood to be spotless in every way. The owner was extremely helpful and accommodating (in fact, it would be hard to imagine a kinder person). There’s no need to bring anything as she has the house set-up with everything you could possibly need. The full service rec center, with pool, spa, tennis, pickle-ball, golf and other activities, as well as a first rate restaurant are all just a short walk away, all of which makes this house the perfect getaway place. We can’t wait to come back next year. We found a "Friend" in Hope!!! We spent two wonderful months in Corte Bella. We took advantage of all the amenities .......and they were all within easy walking distance. The neighbors were so friendly.....they even included us in their neighborhood Christmas gathering. If you are ever there during Christmas, be sure to go to the beautiful Street Of Lights in Corte Bella......amazing!! By the way, if you love to shop, plan a trip to Scottsdale and make a day of it at Kierland Commons!!!! Hope is the kind of lady you would want as your "best friend". You definately feel her warmth when you enter her home in Corte Bella!!!! This home, and the owner, Hope, deserve all of the accolades of the previous reviews. The home is very well designed, very well equipped and furnished. Corte Bella is an outstanding vacation destination located next door to Sun City West. This is a can't miss. We enjoyed this home for two months this winter. It was roomy, comfortable and quiet with nice neighbors. Corta Bella facilities including the pools are included in the price. Also, the restaurant is very good with reasonable prices. A very safe, gated community. Very nice master bedroom and bath. Owner, Hope, will respond immediately (and sweetly) to any requests. As has been stated, a very well appointed and well maintained comfortable home. the owner, Hope is very attentive and caring. The community of Corte Bella is first class. Click Link Below, For More Info on Corte Bella's Country Club Amenities. The beautiful 18 hole championship golf course opened Jan, 15, 2004, This upscale course is managed by Scottsdale Golf Group. For more info, contact the Corte Bella Pro-Shop @ (623)556-8951, Relax and enjoy the new Outdoor Heated Pool, and 10,000 sq, ft, Fitness Club and Spa, Pickle Ball, and Boccie Courts, Social Hall, Golfing and the Anacapa Grill restaurant(623)546-0858 all less than 1/2 a mile WALKING DISTANCE from our home, Some classes are available at an additional charge of approx, $2.00-$5.00 per class, and are subject to change such as, Water Aerobics, Yoga, Tai-Chi etc, Discounted rates are available for approx $15.00-$40.00 for 10 classes, You may contact the fitness center @ (623)328-5504 for updated info, on all classes offered and possible price increases, Our home is an excellent location for Spring Training fans, only 10 minutes to the new Surprise Stadium! !